The National Association of Letter Carriers organized demonstrations in 200 cities on Thursday, including Hartford, against a Senate bill the head of the union in Connecticut said would stamp out jobs. 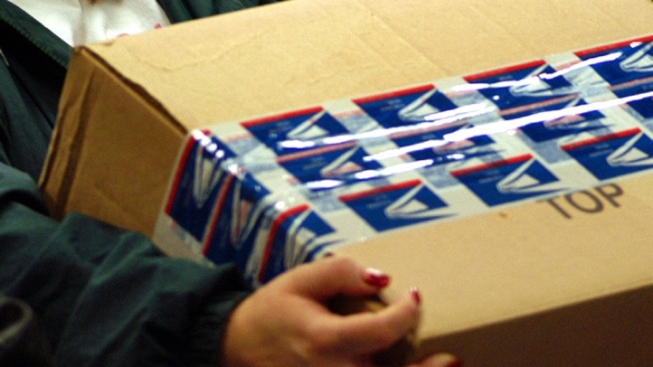 "It'll lead to five-day delivery at your house of your mail," said Chuck Page. "You're gonna have to go down the street to pick up your mail. It's gonna be a loss of 80,000 jobs in an economy that cannot afford to lose 80,000 jobs." About 70 union members and state labor leaders carried union flags instead of mailbags in State House Square, below the office of Sen. Richard Blumenthal, (D) Connecticut, who spoke to the rally. It's across the street from the office of Sen. Joe Lieberman, (I) Connecticut, one of four co-sponsors of S.1789. Page said Congress should direct the civil service to pick up more than $5 billion a year the postal service now has to invest in benefits for future retirees. He said without that bill the Postal Service would post a profit, and would not need to cut service.